Applying makeup is just as satisfying as taking it all off at night. But when you're too exhausted from work, it can feel like a total chore—and it's even worse if your budge-proof matte liquid lipsticks won't stop clinging to your lips. Chances are, you'll end up scrubbing them with a soaked cotton pad until the product finally disappears. Not only is this time-consuming, but tugging at the skin—especially around such a delicate area—may make you more prone to fine lines and wrinkles, especially in your 30s, when your collagen production has decreased. You've already braved through so many tasks during the day, and taking off your makeup at night shouldn't be another challenging thing to do. Below, check out the best lipstick removers that will smoothly take off not just your lippie but the rest of your makeup as well, so you can crawl into your bed right away. 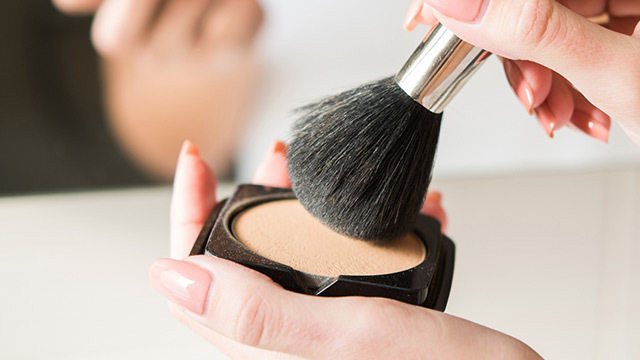 Gone are the days when a simple oil-based remover or even kitchen olive oil were the only options you had to take off your makeup. From cleansing balms to micellar waters, there are now all sorts of makeup removers that cater to different needs; this includes your skin type and your makeup style. If you're the no-makeup makeup type of lady, for instance, gentle micellar water is your best bet. But if wearing a full face of makeup makes you happy, a heavy-duty cleansing oil or balm will be your lifesaver. Keep in mind that there's really no right or wrong makeup remover for you; it's only a matter of preference! Micellar water (or otherwise known as cleansing water) instantly became a skincare hit when it landed on our shores, and for a noteworthy reason: it's cleanser and water combined. Applied on to a cotton pad, it wipes away oil, dirt, and makeup—and even kilikili odor—minus the stingy, drying feel that you normally get from alcohol-based toners. It's known to be amazingly gentle and nourishing; in fact, it was created by the French as an alternative to harsh tap water. Simple’s micellar water is literally like water but even better—it’s alcohol-free, fragrance-free, harsh chemical-free, and oil-free so it can take off tough lip stains without hurting your puckers. As it’s extremely gentle, it’ll take a few sweeps before you’re able to fully remove your lipstick, but the good thing is its gentle, non-stingy formula will never leave your lips dry. It’ll even make it feel even more hydrated—as if you just drank a tall glass of water. You’ll get the most bang out of your buck with Garnier’s micellar water as they're generously sized; for only P249, you'll get a large bottle that can last for months. But apart from being tipid-friendly, we particularly love it for having variants that target different skin issues. What’s a cleansing oil? And how is it different from traditional oil-based makeup removers that you’ve used in the past? Simply put, a cleansing oil is a combination of cleanser and oil. Compared to micellar water, which removes dirt and makeup on the surface of the skin, cleansing oil offers a deeper cleanse. It's perfect for thoroughly removing every trace of long-wearing foundation or waterproof mascara on your face but without hurting your skin’s moisture barrier. “[Good oils] are naturally attracted to other [bad] oils... like the oil-like ingredients in makeup. This is what allows the oils in a cleansing oil to quickly dissolve makeup [when massaged on the face],” explains a feature on Paula’s Choice. Once in contact with water, the cleansing oil turns into a milky emulsion, which allows the dissolved makeup to be comfortably rinsed away, leaving the skin clean yet soft and supple. This one from Internet-famous Japanese brand Bioré doesn’t leave greasy residue, so those with oily skin don’t need to fear adding this bottle to their routine. It melts away hard-to-remove lippies (and the rest of your makeup) so easily, and makes the skin feel smooth after washing it all off. 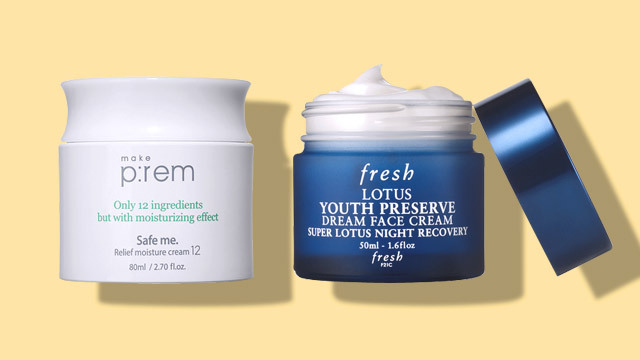 Yes, there are also lotions specifically created to remove makeup, and they're a godsend for drier skin types as they provide an extra boost of moisture. While this lotion is best used for removing eye makeup, it’s also perfect for clearing up any leftover lipstick mess on the face as it adds moisture to the skin. This cleansing lotion feels incredibly soothing, and its rose scent make the overall ritual of makeup removal feel more like a spa than a chore. Cleansing balms are another heavy-duty makeup remover to try that won't ever make your skin feel stripped off. It's like a face wash and a night cream combined, which is a heaven sent for those who will need to take off a full face of makeup instead of just a waterproof eyeliner. Similar to cleansing oils, the balm must be massaged on the skin, and once rinsed with water, it emulsifies to smoothly wash away every ounce of foundation, blush, bronzer, and lipstick. There are some cleansing balms, however, that don't require rinsing. You can just massage it on your face and wipe it away, making your skin feel extra-soft to touch. This cleansing balm in a pretty pink jar has had rave reviews mostly due to its silky, frozen dessert-like texture that melts into an oil consistency when in contact with water, removing makeup and even dead skin cells in one go. When micellar water wasn't a thing, you've probably resorted to household products to take off your matte lipsticks—and they still are effective makeup removers to this day. While olive and coconut oils work great in removing eye makeup, petroleum jelly is a household makeup remover that you can take with you wherever you go, sans making a mess in your purse (it helps lessen your chances of getting chapped lips and windburns, too). This multi-purpose kikay kit staple can do more than just moisturize parts of your body—it allows stubborn matte lipsticks to slide right off and it moisturizes the lips right away, so it never feels stripped off. It’ll come in handy for when you don’t have a proper makeup remover at hand. Compared to micellar water, petroleum jelly is a tougher option as it gets rid of heavy-duty makeup with ease, but use this one sparingly, as petroleum jelly "may cause breakouts in some people", according to American Academy of Dermatology. Of course, this list won't be complete with the most convenient type of makeup remover: facial wipes! When you're crunched for time or just extremely sleepy, these cleansing cloths will get the job done in taking off stubborn mascaras and dirt buildup in one go. Just be sure to look for nourishing ingredients so your skin won't feel dry and tight before you snooze. Like the micellar water version, these cleansing wipes are incredibly gentle and nourishing as they're packed with minerals and plant extract, so they'll not only take off your makeup, but refresh your skin, too!